Far North Queensland is like nowhere else on Earth. Fringed by reef, enveloped by rainforest, ringed by the red dirt of the Outback – it’s a place of unique diversity and an interesting place to build. Here’s what you should know if you’re considering it. Far North Queensland has an average daily temperature range of 18.3 to 30.2°C. On average it receives 1998 mm of rainfall each year – 1393 mm in the wet season (November – April) and 610 mm in the dry season (May – October). The climate, however, is comprised of three distinct regions: coastal, inland and tableland. These represent distinct agro-ecological types comprising different landforms, soils and topography as well as climate. Climate responsive design is important for Far North Queensland, improving the comfort of your home and ensuring it can stand up to the conditions. Varying the width of your building, for example, can change the way it will perform. To minimise the effects of climatic conditions you should get to know the sun’s seasonal path and the varying breeze patterns during the year. Talk to us here at Kitome about how we can make use of these two region-unique factors. We offer passive design options so that you can take advantage of the climate whatever it’s like and not only stay comfortable but reduce heating a cooling bills. Much of the Queensland landscape reflects ancient geomorphic processes. In a word… Erosion. At the most basic level Far North Queensland’s topography can be divided into bedrock landscapes and unconsolidated deposits derived from various sources. An understanding of the local hard rock surface is fundamental to land classification. You can learn more about land zones here. If your land proves to be a challenging block, Kitome has near limitless designs, making our homes ideal for any topography. The weather in Far North Queensland can make for fire-prone conditions during the dry season. High temperatures, low humidity, little soil moisture and dry vegetation can be a bad combination. Click here to see if your land is in a Bushfire Hazard Area. Flooding can also be a problem in some areas. The Queensland Government, as well as us here at Kitome can work with you to assist in mitigating and preparing for floods. To discover flood data in your location, check the FloodCheck map. Soil in Far North Queensland is a mix of sand, loam and clay. It can be acidic, dystrophic or Brown Dermosol with many stones and cobbles. But there is also an abundance of fertile agricultural land and mineral wealth . The region’s natural environment is a major economic asset and the value of the landscape for nature conservation, primary production, renewable energy resource areas, priority carbon sequestration, cultural heritage, outdoor recreation and scenic amenity is given appropriate recognition in land use planning and development assessment. Water is a precious commodity and it pays to know where it’s coming from. Prior to 1 February 2013, all new homes and commercial buildings in Far North Queensland were required to install rainwater tanks or other water supply systems such as greywater treatment plans. This is no longer true for all of Far North Queensland, so check with your local council. If in doubt, rainwater tanks are great addition to your home. 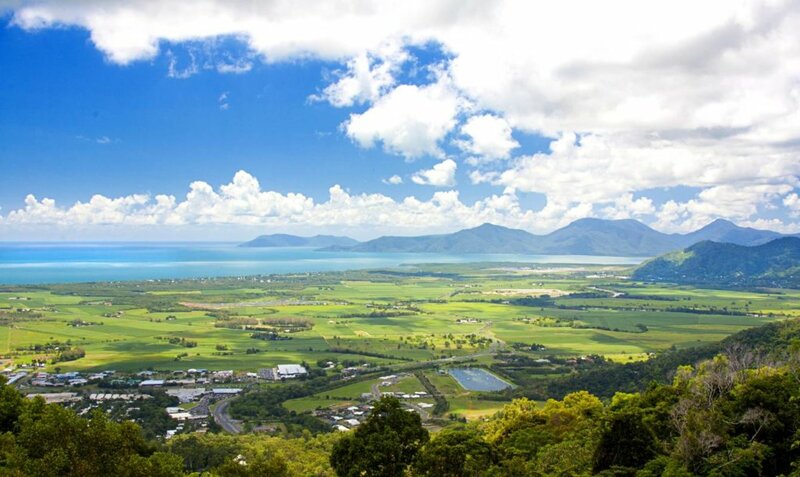 Through Local Environmental Plans, Development Control Plans and other policies, councils regulate building and development within the Far North Queensland community. Development Applications can be for land subdivision, commercial, industrial, residential and agricultural land uses. It is then up to you and your contractor to ensure the building work is carried out to an acceptable standard. With the bedrock terrain of the Far North Queensland, as well as it’s warm and wet temperament, there are certain kit home designs that are best suited to the landscape. From the Prestige Series we have the Brookland and the Homestead designs that lend themselves to being elevated if needed. From our Freedom Series the Harrington and Haven kit home designs would also be suitable for Far North Queensland. Our kit home designs are 100% customisable. That means you can choose the design that you like the most, and add features that best suits your needs and the environment of the Far North Queensland region. Having considered the factors above you can set to work planning your dream home. Think a Kitome could be a perfect fit for your land? Download our brochure today or give us a call and discuss what you’ve learnt about your area. We’ll be able to help you find the right Kitome to suit both your land profile and needs.